Sarah graduated high school in 2015 and went on to complete a Business Traineeship through the Mackay Regional Council. At the start of 2017 she started at Power2 as a Financial Planning Assistant. 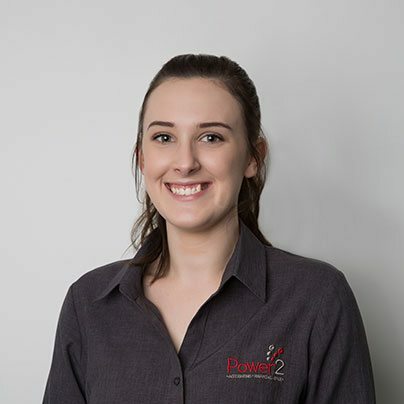 Sarah will be one of the first people you will meet as a client of the Power2 Financial Planning Team. Sarah enjoys the forever changing dynamics of the Financial World and continuously learning, she also loves the organized and fast paced environment that Power2 has to offer. She contributes her always happy and bubbly personality to the Power2 team as well as her enthusiasm to learn. In her spare time Sarah enjoys going to gym, binge watching TV shows, stalking peoples puppies and spending time with her family and friends.